Household debt levels in Canada are higher than those in any country included in a new OECD report, and the organization says it's a major risk to the country's economy. In a chapter of a report set to come out next month that has been released in advance, the Organization for Economic Co-operation and Development says that while virtually all countries saw their debt loads increase in the years leading up to the credit crisis of 2007, most have seen their indebtedness decrease over time. But that's not the case for Canada and some Scandinavian countries, where household debt, as the OECD puts it, "has continued to rise from high levels." The group calculated household debt levels compared to the size of the overall economy in 28 OECD nations, and found that the household debt-to-GDP ratio in Canada was higher than in any other country studied, at 101 per cent. In the United States, the ratio is just under 80 per cent. In Germany and France, the ratio sits below 60 per cent. In Italy, it's barely 40 per cent. A lot of the debt that Canadians have been accumulating is tied to real estate, which doesn't tend to grow the economy as much as other forms of debt, such as businesses borrowing to expand. That's bad news because the OECD says there's a correlation between higher-than-normal house prices, and which way the economy is headed. "Research points to a number of links between high indebtedness and the risks of severe recessions," the OECD said. An increase to higher-than-normal house prices was witnessed in just before each of the four major worldwide recessions dating back to the 1970s. And across all OECD nations, average house prices are already higher in relation to GDP than where they were before the slowdowns in the '70s, '80s, '90s and early 2000s. According the the latest numbers from the Canadian Real Estate Association, the average price of a Canadian home sold last month was just under $506,000, up five per cent from the same month last year. High prices in some cities are often justified by a corresponding increase in rents, but the OECD says even by that metric, Canadians are borrowing more than they should to finance real estate, even if it's an alleged income property. Compared to long-term averages, Canadian house prices are almost 50 per cent higher than they should be, compared to what homeowners can charge in rent. "Although in part this reflects strong population growth," the OECD acknowledges, "these developments may entail significant risk to financial stability, given the direct exposure of the financial system to the housing market." Housing debt isn't the only form of debt that Canadians are taking more of, but the OECD says it's clear that the main driver of debt loads is inflated house prices. 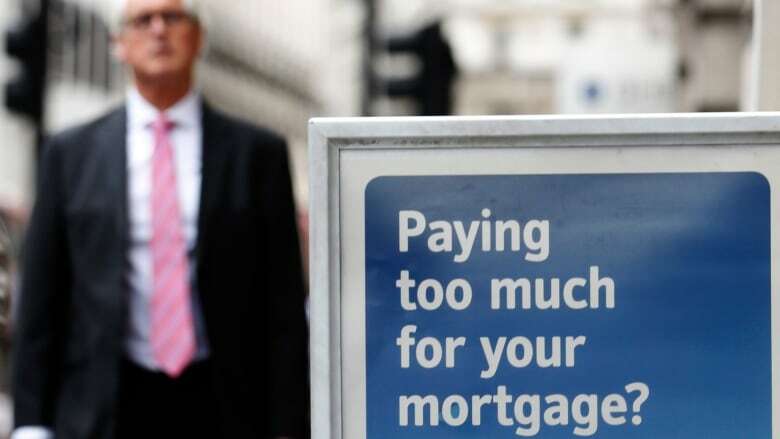 "OECD countries that have experienced the strongest increases in household debt since the crisis has also the steepest rise in house prices," the group said.